With Conosco looking after the technical side of your IT needs, you will be left with more time to optimise your Windows PC to suit your own personal needs. Whether you would like it to go faster, look cooler or sound more inspirational, there are plenty of ways to pimp your PC and stand out from the crowd! When you bought your PC I bet you couldn’t believe how fast it was compared to your old one, but a couple of years on and no doubt you are becoming increasingly frustrated as it crawls along like a snail. A quick and easy way to speed things up is to buy an external hard drive and transfer all your photos onto it, or better still upload them on to a virtual storage space. Just like your home, your Windows PC needs a spring clean from time-to-time. Try removing any programmes that you no longer use, delete cookies, archive folders you haven’t worked on for a while and perform a virus check. It takes a little time to organise yourself but your virtual workspace will thank you for keeping it clean and sparkly! If you like the look of a Mac but don’t like the price tag, then there are various ways to give your PC a Mac makeover. Downloading some animated dock software to arrange your program icons and widgets is a great place to start. 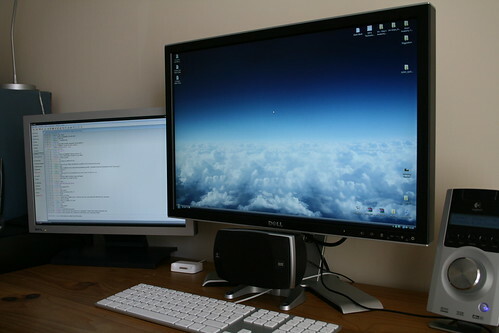 You’ll have everything to hand and your desktop will look stylish and tidy. There are plenty of applications to download for free that will allow you to change your background image every day, hour, minute or second. So if you’re prone to getting bogged down in work, changing stimulating imagery in the background will be sure to keep your workspace inspired. Computers have changed dramatically over the years. Long gone are the days of a big grey box sitting dusty by your feet, instead PCs are sleek, portable and can say a lot about you. Keep things fresh by moving away from a boring uniform exterior and instead give your PC a makeover with a decal skin that best reflects your personality. If your sick of the same ole’ sounds every time you start up your PC or receive an email, why not have a revamp. It’s easy to change your sounds on your preferences, but the options don’t stop at your in-built library. You can download popular catchphrases or even record your children announcing a new email; the options are endless and will keep things creative and lively! We are all guilty of getting stuck in a rut, but perhaps you don’t think about a new colour scheme for your PC as often as you do for your living room, but they are out there and easy to process. From animals and landscapes to flowers or minimalist sophistication, you can download a whole host of fresh and colourful themes that will revamp your computer in no time at all. Encryption is a very useful data protection mechanism by which files and folders are ‘rewritten’ using algorithm(s) making them unreadable to all systems and individuals except those possessing the encryption key. Admittedly, Windows operating home desktops and business laptops feature their own encryption applications, but there are many free tools available that would do a more competent job. Furthermore, they will definitely be more portable options. Encrypt Files does free encryption using 13 algorithms. This program can also delete and permanently dispose of the original file. MEO Encryption Software is a particularly useful program that is able to encrypt almost any file including emails and attachments. TrueCrypt is a scarily potent tool. With ability to create virtual encrypted disks within a file (encrypted disks are displayed as real disks), it can encrypt entire hard disk partitions or storage devices such as USB drives. Cryptainer LE is a functional program that uses a very familiar drag and drop concept. It works by setting up 128 bit strong encrypted containers/vaults to store any type of data. FreeOTFE is a portable open source application for PCs and PDAs (personal digital assistants). Needless to say, being the database housing all settings and configurations of the Windows operating system, Windows Registry is a vital component of the Windows OS. Simply put, it is the brain of your desktop/laptop. It is crucial that you back up your machine’s registry to avoid unpleasant surprises. Windows Registry Editor and System Restore, two useful components of the Windows OS, allow users to back up the registry. On the other hand, neither of these applications provides regular schedulable automatic backups. There is always a solution for the ‘better be safe than sorry’ crowd that I belong to. The Emergency Recovery Utility for Windows NT (ERUNT) is a free software package available online. ERUNT can both arrange scheduled automatic back ups and restore your computer’s settings based on those backups. Once installed and running, it starts with establishing a host folder for the backups. I go with the default folder which is C:WindowsERDNT. You will also be prompted to choose which registry clusters (system registry and current user registry) to backup. I choose back up both. After these simple steps, ERUNT creates a copy of the Windows Registry whenever your system starts up. You can find the automatic backups in C:WindowsERDNTAutoBackup. If disaster strikes as expected, all you need to do is to access C:WindowsERDNT, find ERDNT.exe and run it. You will see that the ERUNT utility will automatically restore the registry with ease. Did you encrypt a file or folder in Windows 7 and want to open it on another computer or laptop? In order to access an encrypted file or folder on another system, users need to back up and transport the encryption key used by the computer that executed the encryption. Producing a copy of the encryption key takes a little more patience and effort than encrypting and decrypting files and folders in Windows 7. From the Intended Purposes column (4th column), find all certificates that are responsible for Encrypting File System. You can click on the title of the Intended purposes column to sort the list alphabetically. Copy and Paste all certificates you have found to somewhere safe and portable. Payroll is a complicated department that requires the utmost accuracy, and quite rightly too, no employee will be productive if their pay is wrong. Processing payroll manually requires a number of complex calculations, such as individual tax calculations for each paycheque; this wastes time that could be spent more productively. Payroll software can perform these tasks automatically once an employee’s details have been entered. When a number of departments (HR, Accounting Services, Payroll etc…) are using different software to collate payroll data it can often result in a number of duplicate records being created in the process. With one piece of payroll software that all departments could input data into this needless waste of time is eliminated. In addition to this, payroll software will more often than not allow customised security access for different departments. So, if security between departments is a concern, this is a feature to look out for. While ‘tracking’ employees may sound a little Orwellian, time tracking is actually beneficial to both the employee and the business. Employees on an hourly rate will receive the exact level of pay they are due (so no overtime ‘goes missing’) and the business can save time by reducing the effort and expense cause by incorrect time management by employees. The time is tracked using a clock within the payroll software’s daily log. 4.) Create Reports Quickly and Easily. As would be expected, general payroll reports can be created by the software allowing managers a chance to review financial information. More specific reports can also be created though. Daily time logs can be reviewed with time reports. Employee lists can be created to help human resources, hiring and training staff. The accounts department can get help filing taxes via withholding reports and so on… a report can be created for almost any department where the software is in use. Tax is nobody’s friend, so getting help to lighten the burden it has on your business is always good news. Manually processing tax can cause errors and we all know how unsympathetic the taxman is when it comes to mistakes. Payroll software will also become aware of changing tax laws via updates. So, instead of risking expensive errors, let the payroll software do this for you. Time is money – it is an old business cliché but a true one none the less. Running payroll with software saves time that would be wasted with compiling information, making calculations and altering records. Simply put, saving time lowers overheads, which in turn, increases profit margins. Time may be money but it is also opportunity. By minimizing errors and making the business more efficient payroll software offers the business owner the opportunity to seriously consider how to use all their new found time productively. In today’s day and age, nearly anything and everything can be found on the internet. While this may be great in some aspects, it can be horrible in others. It doesn’t take much for children to stumble upon something that could potentially be damaging for their young psyches. So how do you, as parents, stop your children from potentially viewing damaging material? Here are three great examples of parental control software that can help save the day. Starting off the list is PC Pandora 7.0. 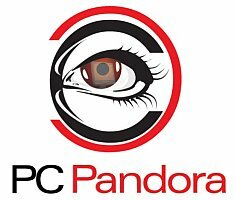 While not the best on the market, PC Pandora is still one of the better options out there and can help protect your children from the unwanted perils of the internet. PC Pandora allows you to run it in stealth mode, making the child unaware that it is even open and blocking anything. The program also allows you to monitor all computer and internet activity such as what is typed and what sites are visited. Additionally, this program allows you to control internet usage. If you want your child to only have internet access for an hour a day without having to put in a password, you can do that. Other great features include the ability to have reports sent to you via email of what is being accessed, as well as the ability to view what is happening on your computer screen from another computer. The biggest problem with this service, however, is that in order to access some of the more prominent features you will have to pay a pricey monthly subscription. Overall, PC Pandora is a great program, but its pricey subscriptions can become a problem. Trusted as one of the safest names in the computer world, McAfee recently released McAfee Family Protection 2.0. Capable of blocking websites divided into 35 different categories, you can pick and choose what your child accesses. Additionally, this program monitors email, IM, and social networking posts made on sites such as Facebook and Twitter. Similar to PC Pandora, McAfee Family Protection also sends detailed email reports to you whenever you would like. The main problem with this program, however, is that if your children are tech savvy the program can be disabled somewhat easily and isn’t hidden in stealth mode like PC Pandora. Though, one thing this program does better than PC Pandora is price. While PC Pandora comes with that pricey subscription, McAfee Family Protection 2.0 is a one time payment of about $45. While SocialShield may not be the best overall parental control software out there, it is certainly the very best when it comes to monitoring social networks. SocialShield lets parents monitor child’s use of Facebook, MySpace, Twitter, Google+, and FormSpring. This program even compiles all of these websites into a nice, neat timeline so you don’t have to go from website to website to see what was posted. Additionally, SocialShield flags posts, photos, and friends that may be problematic. The only gripe with this program is that it cannot function without the child’s compliance. In order to access all of this material, you will need to ask your children for their usernames and passwords for these websites. Once these are given, this program works like a charm. Overall, PC Pandora, McAfee Family Protection, and SocialShield will give your computer and children the protection it needs. With the help of these three programs, no longer will you have to worry about your child using the computer and what they may encounter. This infographic will give you an idea of the scale of infections, and the losses (data and financial), in just one year. I also find it interesting that Mozilla Firefox usually patches security vulnerabilities within 1 day of initial identification. And spam levels nearly doubled between 2007 and 2008… wow. In the world of business IT, it doesn’t take long for things to become incredibly complicated. As businesses grow, masses of data can become clogged up between departments, this results in needless, unproductive administration between staff. Many businesses have turned to cloud based or SaaS (software as service) systems such as ERP (enterprise resource planning) to combat this. ERP systems work by giving each department within a business access to a common database. The departments access this database through customisable modules that have a similar appearance; this makes all electronic data within the company easily accessible; saving time when it comes to chores such as report building and scheduling. There are, however, a few key points that any business must consider when implementing an ERP system. ERP software can be quite expensive but there are options for companies on a budget. Many vendors offer a monthly subscription to their services, essentially breaking the cost up into manageable chunks. Modern ERP software will not run on out-dated systems so any business considering it must have the technological infrastructure in place to deal with it. As with most pieces of software check the minimum requirements before purchase but also be aware that this software updates regularly so make sure your tech is more than capable. All ERP systems, though relatively easy to use, are different; there is no guarantee that staff who have had experience with ERP software in the past will be able to jump straight into any given system. Many ERP vendors will offer training as an optional extra but it may be useful to see if your staff have any experience of systems prior to joining you company and if they are capable of training others on a similar set-up. What do you need your ERP system to do? Many are designed for specific types of business and implementing the wrong type of ERP software can be an expensive disaster. Have the appropriate questions ready for any ERP vendor you approach. Ask your vendor what their policy is on the following: How much updates cost? What support is available in the event of bugs or crashes? Are monthly payments are likely to increase if you are on a subscription service? If you can get satisfactory answers to these questions you will know if you have a suitable vendor. One of the best ways to gauge the effectiveness of a website is to employ A/B testing. A/B or split testing allows webmasters to see how well their sites are converting visitors. More importantly, it identifies specific webpage elements that are contributing to their success or failure. With split testing, webmasters choose a parameter of their website to test, create two different versions of the site with different variations of that element and then compare them head to head. It’s incredibly easy to get started with A/B testing, and it can significantly improve any website in a short amount of time. Here’s how to get started. Finding the right element of your site to perform an A/B test on is the most important part of the process. Focus on portions of your site that affect a visitor’s buying decisions, such as links, advertisements and navigational elements. E-commerce platforms in particular will want to optimize what’s known as their critical path. You can think of a critical path as a sort of “buying map” that tracks the path of a user from their first contact with your website up to the point where they actually add something to a shopping cart and purchase it. A/B testing will help you make that path as short and clear-cut as possible. You’ll want to separately test two versions of the same element on your page that impacts the buying path, such as a “Click Here To Purchase” link or a header title. There are plenty of free A/B testing tools available online that small businesses and entrepreneurs can use to conduct simple tests such as Google Website Optimizer and Visual Website Optimizer. To get more features and flexibility, it may make sense to opt for a paid service like Unbounce. After you’ve set up an A/B test with the desired parameters, all you have to do is collect some data to analyze. Based on the size and complexity of your site as well as the amount of traffic you receive on a regular basis, this can take anywhere from a few hours to days to complete. Once you’ve gotten a reasonable amount of data, you can analyze the results. After looking at the response to the “A” and “B” versions of your site side by side, a clear picture of which page is better at converting visitors should emerge. Once you’ve had the chance to crunch some data, you’ll need to use the feedback you’ve gotten from your split tests to change your site layout. In some cases, you’ll find that tweaking a single element is all you need. In extreme scenarios, you may discover that you’ll need to start from scratch and completely redesign your website’s layout. Either way, you’ll be able to determine what works best quickly and easily. A/B testing is hardly the only method for doing this. Advanced techniques like multivariate testing, for example, vary multiple page elements simultaneously to find the correct mix of content that’ll facilitate sales. The woolly world of web analytics and split testing can be intimidating to the uninitiated, but it needn’t be if you take a few basic steps to simplify the process. There are plenty of free tools available online today to help any webmaster perfect their site’s layout. A/B testing is a powerful technique for streamlining pages and works well in many scenarios. Once you’ve gotten the hang of it, you’ll probably want to move on to multivariate testing to boost sales even further. In any event, split testing is the smart, scientific way to go about improving your website’s performance and profitability. Tech writer EJ Parfitt has been writing for a short time now and has already picked up steam with several tech websites and local news sites. During his free time, you’re sure to catch him competing in local chess tournaments in downtown Fort Lauderdale FL. By now, most of us can pick a well-polished scam quite quickly. With Terry Riley (bettennis.com.au), its a not well-polished, so initially, it fell into the realms of: “unlikely, but possible”. I got a call from a “Cathy White” just before I was going to visit a customer. It sounded like a scam, but since she just wanted my email, and permission to send 1 week of betting tips, I decided: why not. She said Terry “lives and breaths tennis”. So I ended up getting 3 tips from Terry and (without actually betting anything), I checked the outcome, and all 3 were winners. There is very little information about Terry Riley on the internet. Since his email tips also show his Varsity lakes address (gold coast, QLD), I figure: a real scammer wouldn’t do something like that. To prove his past track record, he sends you a scan of hand-written tips for 4 months (Jan 2011 to April 2011), and the results seem reasonable: between 1 and 4 losses per month, and about 14 to 21 wins per month. Overall, the wins more than cover the losses. After a lot of thought, I decided that the yearly payment of “only” $600 was a reasonable risk, as I could bet at whatever level I wanted … I was just buying tips, so I wasn’t locked in to losing many thousands of dollars… and I could stop anytime I liked. So I started a betting account (with a modest amount of money that I could afford to lose), and started receiving Terry’s tips. After a few months, it I got the feeling that Terry was a big tennis fan, and that someone might have convinced him to use his knowledge of tennis to make some money. After a few months, it also became obvious that Terry could not pick winners as well as he thought he could. Sure, in the 10 months since I started receiving his tip, I’ve probably had 2 months that were profitable, and 2 months that were break-even, but otherwise its been a downward slide. After a few months, Terry decided to introduce 2 tiers of tips: tier1 = tip is likely to win, but tips are less frequent, while tier2 is more frequent, but less likely to win. Obviously I started ignoring all the Tier2 tips. I’m now down to 15% of the initial money deposited into my betting account. If I had started with the “recommended” $10,000, then I’d be down to just $1,500. Luckily, I used a much smaller starting amount. To his credit, Terry doesn’t make excuses for any incorrect tips, but when I received 5 losing tips in a row, followed by 10 tips of alternating win-lose outcomes, it became obvious that Terry has either taken his eye off the ball, or he exaggerated his abilities. Verdict: Terry tries hard, but just doesn’t deliver.